PDF files are extremely convenient to work with in order to save all the elements of the document unchanged, but it's also impossible to modify your document in case you want to edit it, for example to combine several PDFs into one file. Luckily, there are special PDF mergers that allow you to do that. 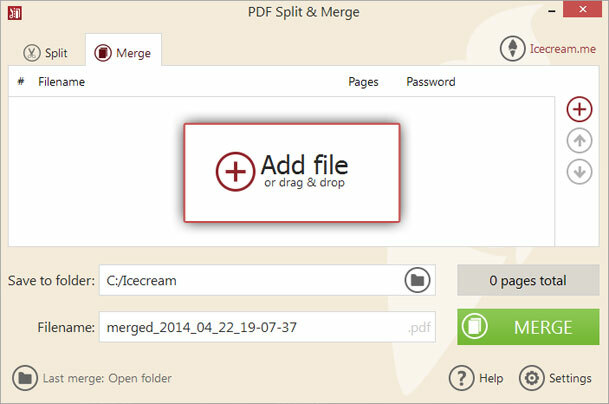 Icecream PDF Split&Merge is a powerful tool that successfully splits and combines files. This tutorial will explain you how to combine PDF documents into a single file. 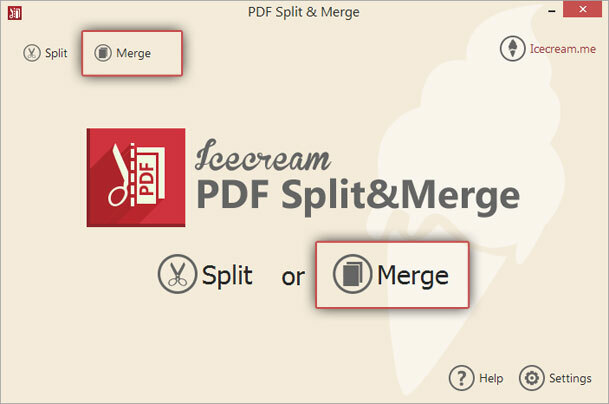 You can download Icecream PDF Split&Merge from our website by clicking the “Download” button. Run the setup file to install the software on your computer. It only takes a few seconds, and once the program is installed, you can skip straight to splitting or merging your files with its help. Open the program and press on the “Merge” icon in the main window to combine several PDFs into one single file. In case you want to skip from “Split” menu to “Merge” menu while working with files, simply click on the “Merge” tab at the top left. To add PDF files to combine them, simply press on the “+” icon or drag and drop the files into the working area. You’ll see them in a queue view. If you are importing files one by one, click on the “+” icon at the right side of the screen every time you want to add a new document. When all the needed documents are added take a look at the next step. In case some of your files are password-protected, click on “Enter Password” in the “Password” column. Enter the password in a new window or press “Skip” or “Skip all” if you don’t know the password. You can’t merge encrypted files without entering a password, so you should delete item you can't decrypt from the queue by pressing the recycle bin icon. You can also insert password to each encrypted documents in the process of conversion. Next to each file in the list you will see the number of its pages. This feature is only different to password protected files – you will see the total amount of pages of such files only after you successfully enter password to them. It’s possible to view each document by clicking on the “View” icon in front of the actual file. When you add files to the queue, they would be merged together one after another according to their arrangement in a queue. To change a file’s position in the queue, highlight it and press the “Up” or “Down” keys at the right side of the window. The total number of pages of all the files to be merged will be displayed at the bottom right of the program window. Note that if you didn't insert passwords to your password protected files, the total amount of pages will only include the sum of all the unencrypted files. Specify the output folder by clicking on the folder icon next to the “Save to folder” field. It will show you all your files as a tree structure. Select the desired folder and press “OK”. After that, specify the file name in the field below or just leave the default title. Press the “Merge” button at the bottom right to combine PDF files together. On the completion, you’ll see the report window. Press “OK” to open the folder and view the result.